For me battling COPD/Asthma also means a responsibility to take this battle seriously and that means to always look for ideas, research, diagnoses, game-plans and all that go with keeping the true seriousness of the battle at bay. It also means being willing to share what I may find or on my own travels with the hope that someone (even if it’s just one person) is willing to read what I write or hear what I say about the ins/outs of COPD/Asthma and may find the needed information or word of encouragement to help in their own battles with either COPD and/or Asthma. 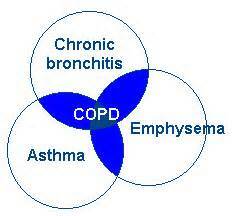 Today’s ‘Reflections of COPD/Asthma’ is a look at the thought that to help with today you must look at your yesterdays. Doctor’s ask for your health history for a reason and it pays to be very honest and very, very open about your life and health, especially if you are diagnosed with any kind of long-term disease or illness. For instance if you are diagnosed with cancer of the lungs then you must share with your medical people anything and everything you may have done or been around that could have and/or may have caused problems with your lungs. Being diagnosed with COPD/Asthma is the same – be up front and honest about everything and anything that could in even in the slightest way have been a problem with your breathing in any way. Places you worked, places you would eat on a regular basis, places you visit, places you would play and places you would live. Just as important would be the people throughout your life travels, people you would have worked with, people you would have visited, people you would have played with and people you would have lived with. Using me as an example, sure I had severe asthma for seemingly forever and my childhood was full of inability to participate in activities and lots of inhalers. But I also lived in a home in which a parent smoked a pipe for a number of years before quitting when I was in my teens. While I never smoked on a regular basis I did (like an idiot with all my asthma problems) smoke when I would possible get drunk, but more importantly to my end result of COPD was the places I hung out over about a 5 year period – lots of bars, clubs and restaurants of which in those days allowed smoking everywhere. I can look back now and know that spending nearly seven years in a fiberglass insulation factory, no matter the reason why I took the job, was not smart for someone who already had lung problems. And this was followed up with twenty-plus years in the food service industry sniffing those fryer fumes, grill fumes and all those wonderfully toxic cleaning fumes to clean those fryers, grills and counters – and that doesn’t even count the number of those years when food eating places allowed smoking. Did you live near any factories or refineries, I have and those places more than likely have sent some level of toxic fumes into the air that you would have been breathing. So especially for any of those who just recently have begun the testy journey of traveling life with COPD and/or asthma – always take a very, very close look at where you have been to help your medical people develop the path best suited for you in your travels with COPD and/or asthma, because without the knowledge of the past you may very well still be hitting those same COPD/Asthma triggers even unintentionally today. We always try and finish with a question of thought, so today try this for some thinking – – your COPD/Asthma has arrived, but do you know what the invitations were that brought you to this battle and are you sure you are not still leaving the welcome mat out for trigger invitations today and tomorrow? As with most postings from wheezingaway.com and CrossDove Writer, we like to throw out a question for our readers/followers to consider and maybe even add as some feedback, information or insights in the comments sections of wheezingaway.com – the question for this posting is: How do you in your battle with COPD/Asthma deal daily with those dirty looks and misunderstandings? NOTE TO REMEMBER: We only give descriptions and highlights of various aspects of having COPD and/or asthma and no way do we ever want our information to be considered medical treatment type of information, always consult your physician for more, clearer and more medical founded information. As always – if you or anyone you know have any symptoms involving lung and breathing functionality, and they linger over and over while disrupting a lifestyle – then please ask questions and get it checked out. Remember that without breathing a person is without life itself. With that I bid to all – smiles, prayers, blessings and steady breathing – Mr. William.